Back in the day, way back in 2013 when I started TSNC, blogs were overall pretty simple and straightforward online diaries, you’d write about whatever took your fancy, take a few snaps on your phone and Bob’s your uncle. Over the last five years though, blogging has completely changed – and though there still are people that blog solely for fun, it’s now a recognised and extremely lucrative industry – and more and more people want in on the action. 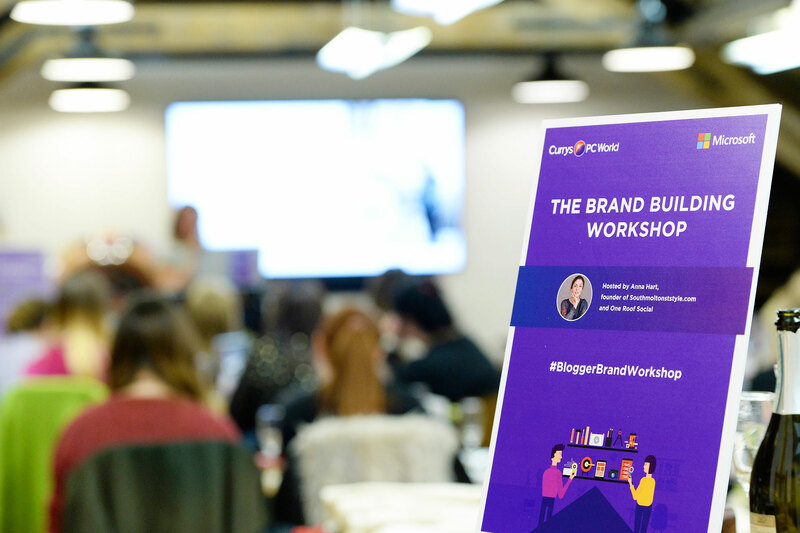 So with that in mind, when I was invited along to a Brand Building Workshop event in collaboration with Currys PC World and Microsoft, I was intrigued to find out what was in store, and how it could help me. 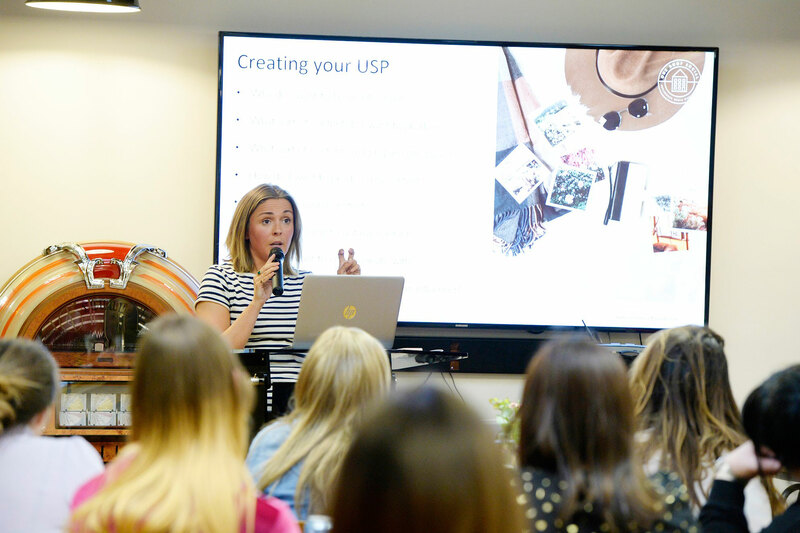 Anna Hart from One Roof Social Influencer Marketing hosted and talked us through her ideas and tips to help bloggers on their way to branding success. I found a lot of this information interesting and some incredibly helpful, so I thought it would be a good idea to summarise the bits that stood out to me, and put them across in an easy-to-digest way so hopefully they might help you too! 90% of influencers are on Instagram. The UK only accounts for 7% of the world’s influencers, compared to 30% in the US. Last year 27k people declared earnings to HMRC as Influencers or bloggers. This is expected to grow to 100k by 2020. Interesting stats, no? These figures just show how incredibly fast the number of bloggers and influencers are rising – and therefore how important it is to cement your brand as soon as possible. Something Anna said that was quite interesting, was to think of the Influencer Marketplace like a newspaper stand holding different publications. 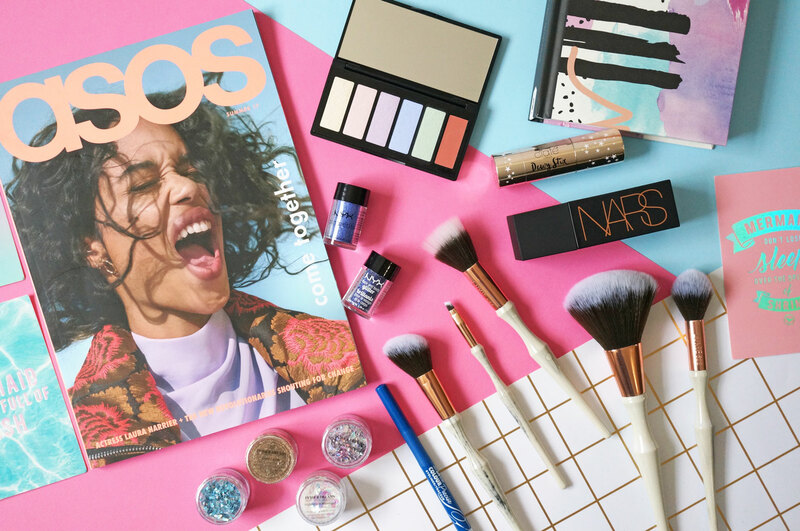 Some will be quarterlies and coffee table reads, you know the type of magazines that seem to only be printed once in a blue moon, the ones with gorgeous imagery – these offer memorable content which helps grow brand awareness. At the other end of the scale you have your weekly publications, where content is aimed at directing sales across a season or occasion, and lastly the daily reads, these are short snaps of content that’s quick to digest, including offers with limited timeframes. Now this really got me thinking, if my blog was a magazine, where would it fit in? This is definitely a good starting point when working out your branding. You can then gather your answers to get a clear idea of exactly what you want to portray – honing your brand, and giving yourself direction and a framework for future content. Next – STRATEGY! We all need a strategy for both our content and social. Personally I know this is not one of my strong points – as in I don’t actually have one at the moment. It’s ok though, I’m planning a big overhaul behind the scenes so look out for me upping my game very soon! A good place to start when it comes to strategy is your Google Analytics (and if you don’t have Analytics, hurry up and get it set up) The point here is to take a good look at your stats, and learn from the information they’re showing you. Look at what’s doing well and what’s not, look where readers are engaging and learn from that what works on your site (and social) and of course utilise this information moving forward. Always name your image files – goes without saying really! Title your content logically – use descriptive words like the name of the item you’re talking about and brand names. Link correctly – make sure your anchor text is relevant. Understanding How Brands Work – Now I have to say, I found this part particularly interesting. When it comes to working with brands, from my own personal experience I’ve worked directly with the actual brand, via third party retailers (department stores for example) I’ve worked with brands via PR companies, and also via affiliates and SEO companies. It’s important to understand that not every one of these will have budget to offer for collaborations. 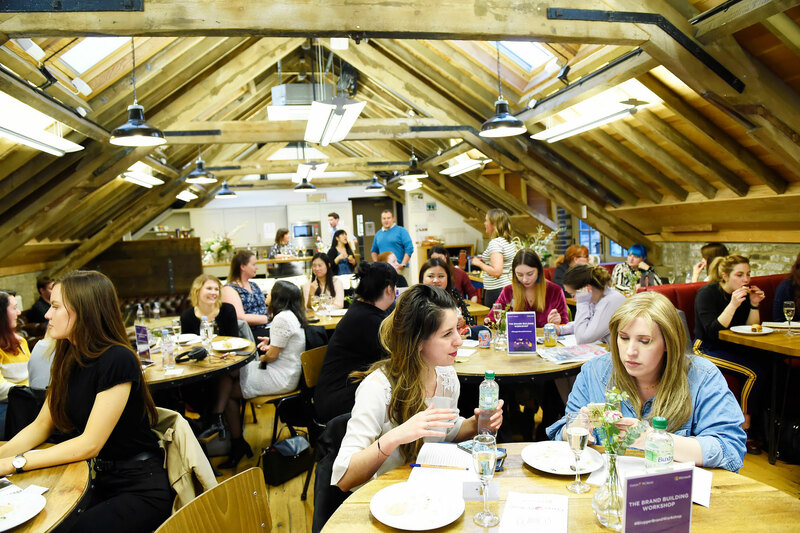 Its worth noting that PR Agencies are usually relationship based, where the focus is who fit’s the brand’s look and style, and PR’s are often not given budget for influencer campaigns. Content Marketing and Performance Marketing teams are usually the ones that can create contracted work between brands and influencers. Gaining Collaborations & Connections – This can seem tricky, but it doesn’t have to be. 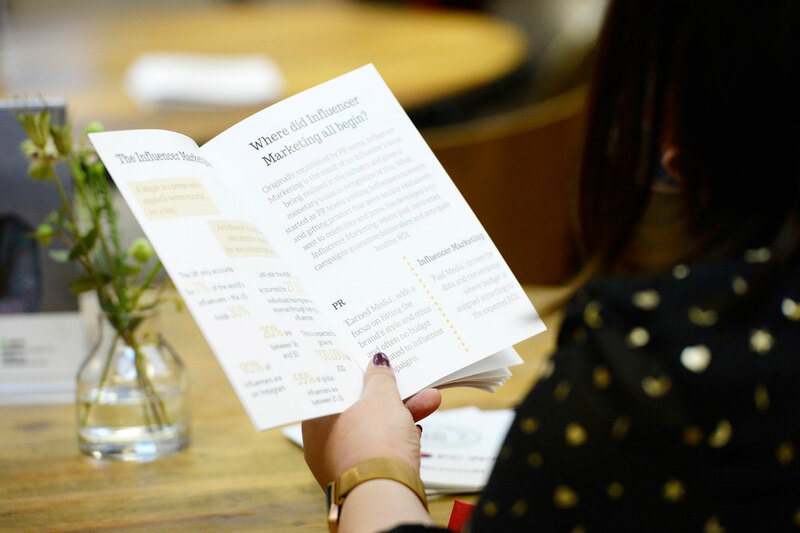 Firstly get yourself a media kit put together, include all the usual stats, info about you and your blog, as well as your best bits – are you a Pinterest whizz? Is your engagement sky-high on Instagram? Maybe you have a loyal following in Slough!? (I’m sorry I couldn’t resist that) – but you get my point – anything that’s unique to you that makes you stand out, make sure it’s in there (and if it’s relevant to the brand you’re contacting, even better) Sell yourself! Use your social networks to connect with others, LinkedIn can be great for this – and don’t be afraid to Pitch to Brands – it’s important to aim to create meaningful partnerships that are beneficial to both parties. Let the brand know why you love them, why you’d be the perfect fit, and most importantly what you can offer – back this up with stats, examples and previous work. And of course they may say no, and that’s totally fine, just make sure you ask why, and use it as a learning experience for next time. I also wanted to touch on Transparency – Never underestimate how important it is to be transparent when it comes to your content. Your blog post is sponsored? Say so. You were gifted an item? Say so. It only takes a moment to include this in your content and it’s incredibly important for readers to feel like you’re being straight up with them. Canon 80D Camera – This is my brand new camera and I absolutely love it! Sigma 18-35mm Lens – And this is also my new lens, it was pretty expensive but I got it second hand, and I definitely see it as an investment. Apple MacBook Pro – My current laptop, again pricey but worth it. 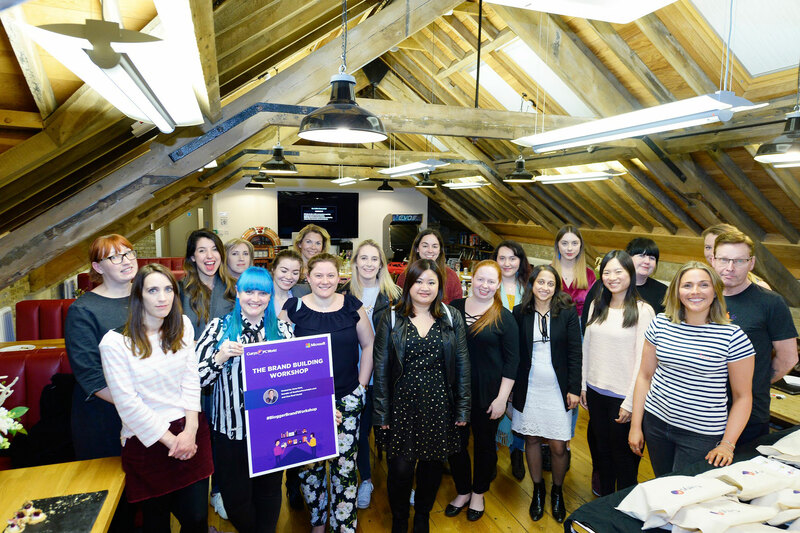 In the interest of transparency, I also wanted to mention that this blog post is not sponsored, but it does give me a very small chance of winning my own Surface Pro – how amazing would that be! Keep your fingers crossed for me guys! Previous Post FREE MAC Cosmetics Treats At Debenhams!